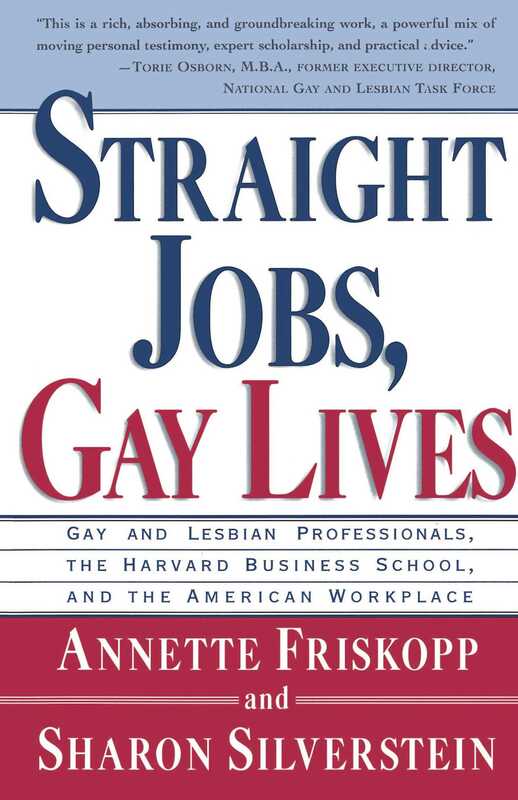 "The workplace has become the next frontier for gay rights, " stated a Fortune magazine cover story, and this book -- based on a series of groundbreaking interviews with more than 100 gay and lesbian alumni of the Harvard Business School -- is the most complete and most in-depth study ever made of gay and lesbian managers, executives, and employees in this country. Straight Jobs, Gay Lives frankly examines issues such as coming out versus being closeted in the workplace, harassment, discrimination, health and insurance benefits, resources and support groups, and the differences between the experiences of gay men and lesbians. With hundreds of personal stories -- from men and women of all ages and races -- Straight Jobs, Gay Lives provides readers with the encouragement, information, and support that they need to navigate today's fast-changing business world.